Affordability is the critical factor in the ongoing strong value growth seen in a number of markets around the country, notably Dunedin and Wellington. Value growth remains modest on a nationwide basis, according to the latest QV House Price Index. It shows that national values went up by 1.3% in the three months to November and by 3.5% year-on-year, leaving the average value at $681,545. But the “more affordable” main centres, particularly Dunedin and the wider Wellington region, continue to show a strong rate of growth. 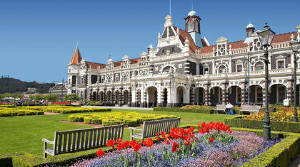 Dunedin’s values continue on an upward trend, increasing by 3.8% over the past three months and by 11.7% year-on-year. This left the city’s average value at $431,665. Across the wider Wellington region, values rose by 4.0% over the three months to November and by 8.1% year-on-year, leaving the average value at $685,387. There was also strong quarterly value growth in many regional markets, including Whangarei (up 6% to $563,312) and Palmerston North (up 5.1% to $419,089). QV general manager David Nagel says these regions appeal to a broad range of buyers, particularly first home buyers and investors, due to their relative affordability and the higher yields on offer. In contrast, the “top-end” of the market – those areas with average values above one million like the Queenstown Lakes – are generally experiencing a cool down in market activity and growth. Likewise, value growth across the Auckland Region remains flat. It was up 0.1% over the past three months and by 0.4% year-on-year, leaving the region’s average value at $1,050,647. Going forward, Nagel says the recently announced loosening of the LVRs should inject energy into the market although he doesn’t anticipate the impact will be overly significant. They are expecting more of the same throughout summer, he says. But Auckland remains a key influence, he adds.